Central Jakarta Tourism and Culture Sub-dept. is going to hold an art and cultural performance, at Silang Barat Monas on Sunday (9/2). Various dance and music arts will accompany Monas visitors on the last night of laser shows and video mapping.
" This performance presents traditional music and dance while inviting residents to watch the laser show and video mapping at Monas"
"This performance presents traditional music and dance while inviting residents to watch the laser show and video mapping at Monas," expressed Sonti Pangaribun, Head of Central Jakarta Tourism and Culture Sub-dept., Friday (8/31). 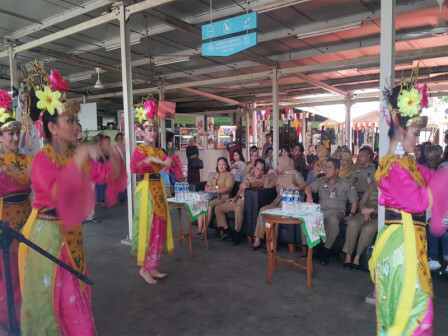 He hoped that residents can flock to watch and enliven, as this event also enlivened the 2018 Asian Games. "Our goal is to preserve local arts and culture, as well as to enhance the role of the superior area as a decent, safe and comfortable place to gather the people," he said.